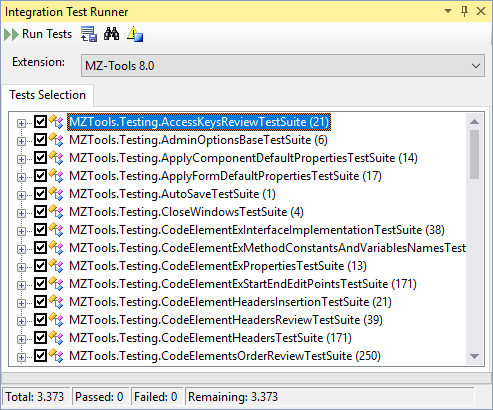 I do totally believe that you should a *ton* more unit tests for your VS extensions than system and UI based tests. 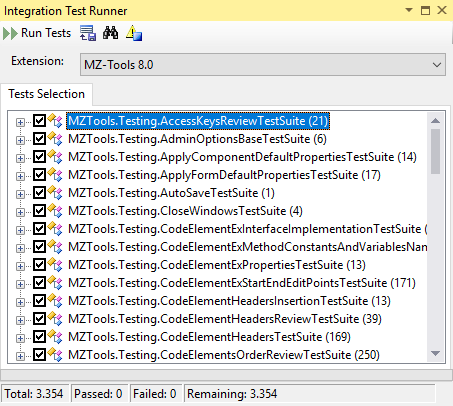 It is interesting to note that even some folks at Microsoft have been on this same journey where they first struggled to find the right balance – https://www.youtube.com/watch?v=Lprj_4Wpi2s talks about how the VSTS team put in significant effort to convert an integration suite that was *mostly* integration tests to *mostly* fast-running unit tests. It took them several years, but the effort paid off in spades. 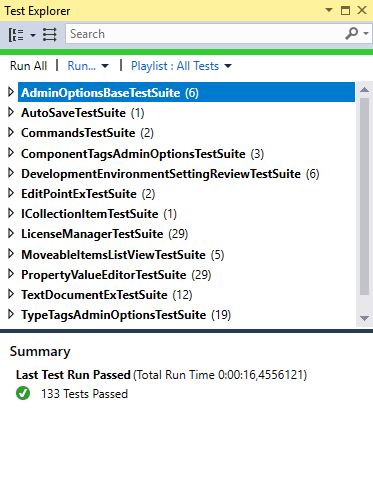 One thing I skipped over in my video for lack of time, is that when you’re writing integration or system tests, it’s initially pretty hard to avoid writing flaky tests. Having a flaky test is a lot worse than having no test at all. In a team environment, a flaky test is like a virus – it’s a thought virus that will easily infect your team – the underlying thought being “our tests are a pain in the neck and not even worth the effort, because when a test is failing it doesn’t necessarily mean that something actually went wrong”. The main reason it’s hard not to write flakey tests is that a big chunk of the VS Extensibility API is very particular about whether it’s being invoked on the STA thread or an MTA thread, and will fail on you in very random and surprising ways if you get it wrong. 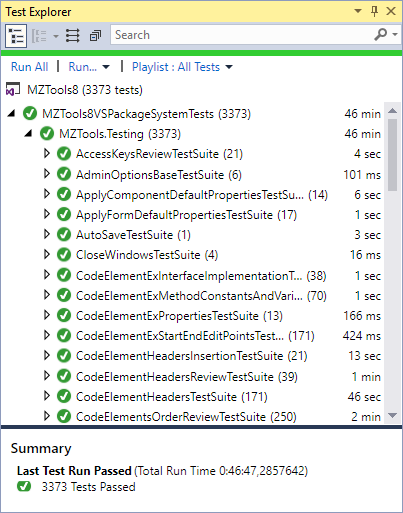 The solution to that problem we have in the OzCode Visual Studio integration test framework is we leverage BDDfy’s StepExecutor. 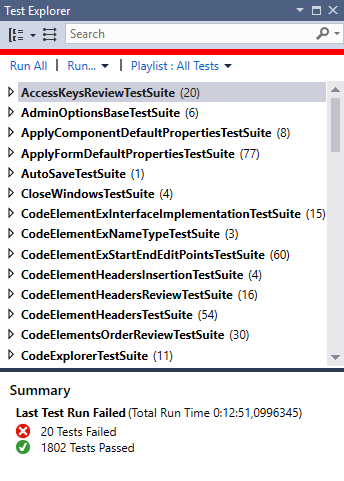 In BDDfy, each declarative part of the test (the “Given… When… Then… parts) is called a “Step”. A StepExecutor allows you to control how exactly the step is executed, and add custom logic before and/or after the step is run. 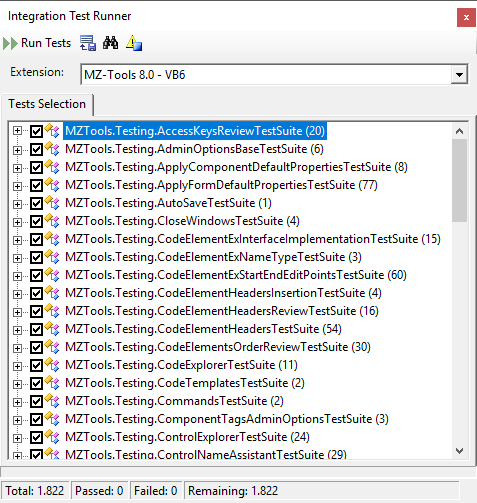 We use this to make sure that while the test is running an MTA thread, each Step is running on the STA thread, and we make sure to wait until the VS UI thread goes idle before executing the next step over. The implementation of this technique is actually only 20 lines of code (see https://github.com/oz-code/BDDfyVSIntegrationTestSample/blob/7bfcd111e591abf06b7e4aabfd2a7b4740f3ca4d/src/BDDfyConfiguration.cs#L21 ), but it is a complete game-changer in terms of being able to writing integration tests for VS extension that are completely deterministic.